Are Your Fictional Characters Based On Real People? Author Anne Clinard Barnhill Says Yes. Sometimes. Sort Of. Maybe. You are here: Home / Anne Clinard Barnhill—Queen Elizabeth's Daughter / Are Your Fictional Characters Based On Real People? Author Anne Clinard Barnhill Says Yes. Sometimes. Sort Of. Maybe. Please welcome Anne Clinard Barnhill to Women’s Fiction Writers! Readers do seem intrigued by the characters that emerge on our pages. They want to know on what real person the character is based. There is an underlying assumption writers automatically create word-people who mirror a flesh-and-blood people. And, sometimes, it’s true. Sometimes it’s true whether the writer means to do it or not. I’d written halfway into my first novel, AT THE MERCY OF THE QUEEN, before I realized my hero, Arthur Brandon, was really my husband in an idealized version. And, I confess when I write what I call ‘revenge’ fiction, (that’s a story where I punish someone who has hurt or angered me) I create a thinly veiled caricature of the offending person. My revenge fiction is never successful but it sure is fun to write. But that’s what’s wrong with basing characters on real people. It never really works. Except when it does. Sometimes writers can capture the essence of a real person and, sometimes, the story will work for them. But for me, the real juice comes when the character appears on the page by surprise and acts in ways that shock me. If a character startles me, I fall in love; I know that character will find a home somewhere in my writing. A poem, a short story, a novel—somewhere that lively person will appear and, hopefully, surprise and delight a reader, too. But where did that character come from? I suspect characters come from bits and pieces of people we know or have read about. Perhaps in the deep, dark, recesses of our psyches these beings are cobbled together, a sort of Frankenstein of the soul. Perhaps the Muse really does whisper a character into our ears. That happened to me once—the whole story was told in the voice of one woman who did seem to speak to me. It was the easiest story I’ve ever written. Or perhaps Jung had it right and these ideas are floating around in the collective unconscious, just waiting for the right person to come along and jot it all down. Anne’s debut novel, AT THE MERCY OF THE QUEEN, was released in January, 2012. Her poetry chapbook, COAL, BABY, was also released in 2012 from Finishing Line Press. 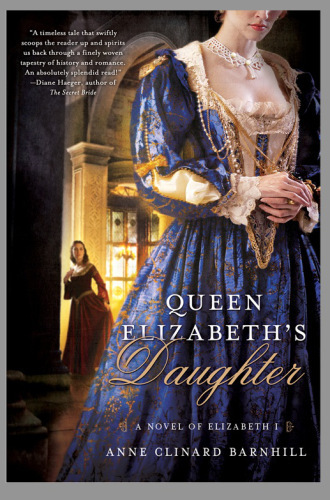 Anne’s new book, QUEEN ELIZABETH’S DAUGHTER, will be released from St. Martin’s Press in March, 2014. What a great interview, I’m off to check out the books. I can’t decide what I like better: your commentary or the picture of you in that beautiful costume! Hi S! 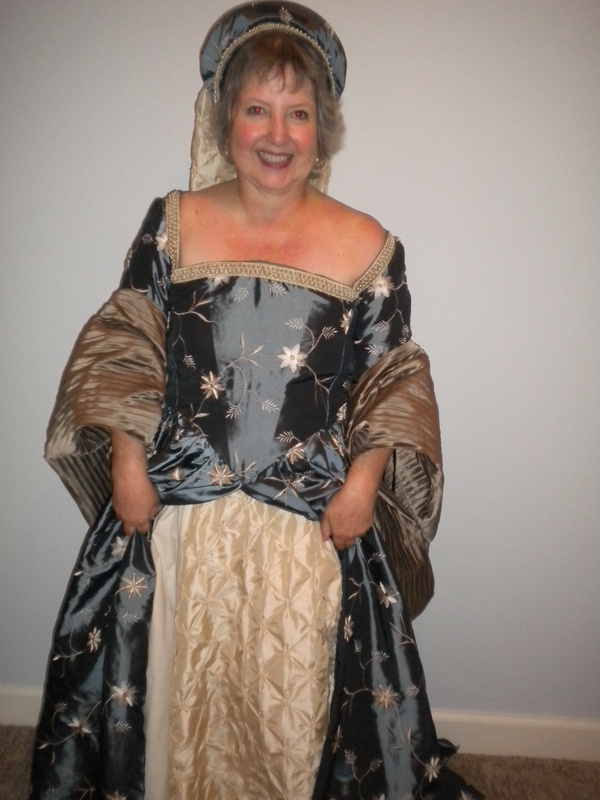 I love the costume–I think it may get its christening at QRB this spring–will hope to see you! Love the Scrooge quote … yes, these characters come from all over don’t they? I think that’s the fun of writing fiction – finding the Muse, when she shows up; discovering the ideas that come out of thin air (I like Jung’s theory), pulling the bits and pieces from strangers and people we know. Great fun! Melissa, I agree completely! Here’s to great characters–being one and writing one :)! It’s so true that our revenge characters rarely work–and that every character we write is a composite of people we know, with layers of fun stuff added on, like your great costume here 🙂 Interesting post. Many thanks. Glad you like the costume, Holly 🙂 I llike it too and it’s such fun to wear! Great interview and costume! I’ve always found this concept interesting: where authors find their inspiration. Definitely going to have to give some of her books a try. Anne, what a lovely way to explain those elusive people we write about. Thanks, Zan Marie–it really is a mystery isn’t it! Beautiful costume and great interview! I find that I “stitch” my characters together from a mix of traits and habits from people I know. It seems to make the fictional characters more real and endearing if they have real-life qualities. Thanks for great insight!